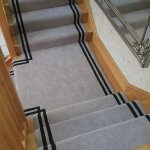 We know that the quality of your custom carpet fitting is just as important as the custom carpets themself. 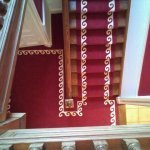 For a custom carpet with exquisite detail and character, choose from our range of bordered carpet. Your home is where you spend most of your time, so it is only right it looks the part. Whether your home is undergoing a full transformation, or your old carpet has seen better days. 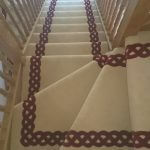 We can manufacture, measure and fit qualitycarpets designed just for you. 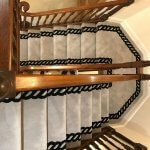 From a single room to a full house, Colourmatched Carpets can cater for jobs of all sizes. 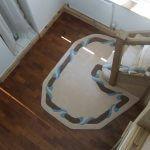 Colourmatched Carpets’ team of fully-skilled fitters, will install your carpet. 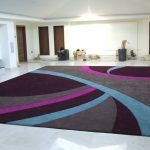 Moving any furniture as required, and replacing after fitting.For us, every carpet we fit is an advertisement of all our hard work.You won’t have to wait long to experience such luxury either. As delivery and fitting typically takes approximately 4-6 weeks, sometimes sooner. 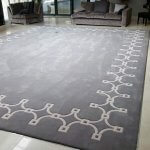 As we manufacture our own custom made carpets and rugs. Selling directly to you without the need of a middle man. You reap the benefits when it comes to the cost of your carpet. 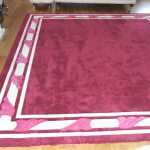 We guarantee that our prices cannot be matched or beaten by carpet shops. Where you can expect to pay twice the price. 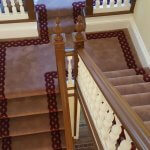 We can manufacture your carpet in any width you require from a foot right up to thirty five foot wide with no joins. Template all our Bordered carpets to ensure the perfect fit.Our bordered carpet comes in a variety of designs,with samples available to show you.